Trying to find the right relationship? Wanting to make the one you’re in better? Wondering if it’s even possible to have a successful relationship? 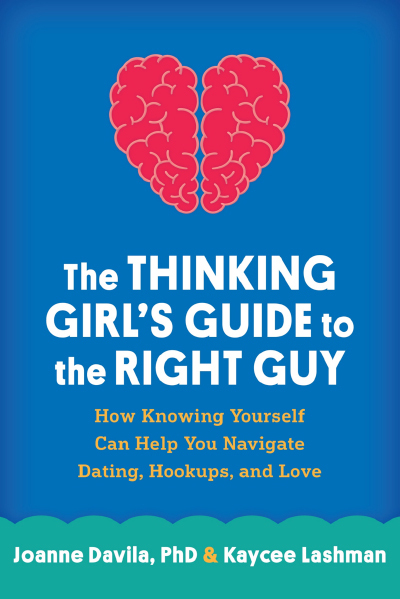 We’ve elaborated these skills, and the conditions that must exist for a healthy relationship, in our book, The Thinking Girl's Guide to the Right Guy: How Knowing Yourself Can Help You Navigate Dating, Hookups, and Love. But even if you’re not a girl looking for a guy, the skills are for you. They’re for everyone (and more books will be forthcoming). We want everyone to know about the skills because SKILLS EQUAL POWER TO GET THE RELATIONSHIP YOU WANT. This empowering guide shows women how to shift focus, so instead of trying to be what he wants, they can figure out what they need to be happy and fulfilled−and whether he has what it takes.